Pakistan Electronic Media Regulatory Authority (PEMRA) has sent the complaint of Maryam Nawaz against Channel 24 programme “Khara Such” to its Council of Complaints for further action. According to a press release issued by PEMRA on Tuesday, Maryam in her complaint stated that the host of the programme raised baseless allegations against her. She said that during the programme a photo was shown alleging that in the absence of Prime Minister Nawaz Sharif, she was chairing a meeting of the federal secretaries, but the picture shown was of January 14, 2014 when she was chairperson of PM’s Youth Loan Scheme and was chairing a meeting with regional heads of National Bank of Pakistan at the Prime Minister’s Office. During the programme Mubashar Luqman showed a two-and-a-half year old picture, and claimed that Maryam was issuing directives to the cabinet members and in the absence of her father Prime Minister Nawaz Sharif, who had undergone a heart-surgery in London recently, was running the affairs of the state, Maryam said. The anchor said that budget allocations were being made on the recommendations of Maryam Nawaz. He also claimed that Nawaz Sharif had violated official secrecy act and should he not be tried under Article 6? In the programme, the host claimed that Maryam also had the codes of Pakistan nuclear programme which was not possible as per law and the Constitution. “Levelling of such an allegation without any proof could raise several questions about Pakistan’s security and in the eyes of the world. Through this programme effort has been made to create doubts in the eyes of the world,” the press release mentioned. Furthermore, the host and participants of the programme portrayed Maryam Nawaz as security risk for the country. The anchor and participants levelled serious allegations against Maryam and even called her a “traitor”. 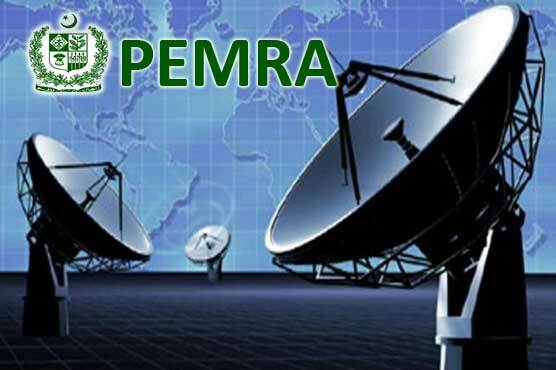 The PEMRA has referred the complaint to its Council of Complaints for further action, the press release concluded. I want to complaint against all morning shows hosts.1- they all are airing vulgarity, not have a purpose to entertain the audience they just destroying the image of islam .2- They discussed here the personal life of others. 3.we are muslims they all are the representator of ISLAM. what they want to see the world? vulgarity,lie,cheap type of jokes,ill-manners,faithlessness. please put a ban on morning shows. 3- During in the month of august they can arrange the informative program in which youth will be able to know about the real history of PAKISTAN and national heros. we want to know about our real heros MUHTRAM QUAID.E.AZAM ALLAMA IQBAL,SIR SYED AHMED KHAN. not about fawad khan or mahera khan or etc. They are the people who sold out their self-respect. our real hero are the kashmiris who are fighting but not ready to sold out self-respect.